The Red Sox improved to 4-5 in Grapefruit League play on Sunday following a 9-7 win over the split-squad Minnesota Twins. They are now up two games to one in the race for the 2019 Chairman’s Cup. Top pitching prospect Darwinzon Hernandez made the start for Boston in this one, marking his first of the spring. The left-hander impressed on Sunday, holding Minnesota scoreless on one hit and a pair of walks to go along with three strikeouts over two innings of work. Despite loading the bases and getting out of the jam in the second, only one ball off of Hernandez was hit out of the infield in this one. The 22-year-old hurler was consistently reaching the high 90’s with his fastball, as well as mixing in some nasty breaking stuff as well. So far this spring, Hernandez has yet to yield a run in three total appearances and six innings of work. In relief of Hernandez, Tyler Thornburg, Erasmo Ramirez, Marcus Walden, Jordan Weems, and Dan Runzler combined to surrender seven runs on 11 hits, one walk, and seven strikeouts over the final seven frames on Sunday. Thornburg, who is vying for a late-inning role in the Red Sox bullpen, allowed hits to two of the first three hitters he faced, which resulted in the Twins scoring their first run of the afternoon. Still, the right-hander rallied and retired the last two hitters he faced, including a strikeout of Tyler Austin to escape the inning. Walden, who surprisingly made Boston’s Opening Day roster last season, put together the best performance of any Red Sox reliever on Sunday, as the right-hander scattered two hits and three punch outs over two scoreless innings of work. He earned his second winning decision of the spring as a result of the solid performance. On the other side of things, the Red Sox lineup featured eight presumable 2019 regulars, including Mitch Moreland, who started as the DH, for the first time this spring. It was actually Moreland who got the scoring started for Boston with a third inning RBI single off of Twins starter Stephen Gonsalves that plated Mookie Betts from second. Fast forward to the fifth, and top prospect Michael Chavis picked up where he left off by mashing his fourth long ball of the spring. That homer pulled the Red Sox to within one run of the Twins at the time it was hit. Just an inning later though, Boston’s bats erupted for a SEVEN run bottom half of the sixth, as a Chad De Le Guerra RBI single, a Tony Renda solo home run, and a CJ Chatham bases-clearing RBI double saw the Red Sox jump out to a 9-3 advantage. In total, the Red Sox sent 12 hitters to the plate in their half of the sixth, with Chatham igniting the rally on a leadoff single and capping things off with a game-sealing three RBI double. The Twins would attempt to fight their way back by scoring four unanswered runs in the eighth and ninth innings, but would ultimately fall short as 9-7 is your final score in this one. Through his first 17 at bats of 2019, Michael Chavis is slashing .353/.421/1.059 with four home runs and 10 RBI. Mookie Betts went 2/2 on Sunday with a pair of hard-hit opposite field doubles in the first and third innings. Next up for the Red Sox, they travel to Port St. Lucie on Monday to take on a split-squad New York Mets club. Left-hander Eduardo Rodriguez will make the start for Boston while New York has yet to announce a starter. First pitch Monday is scheduled for 1:10 PM ET. MLB Network will have the game. 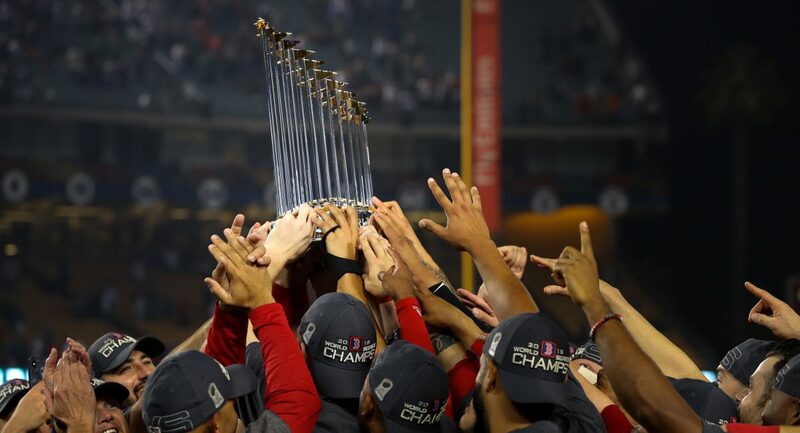 Author Brendan CampbellPosted on October 28, 2018 Categories Baseball, Sports, UncategorizedTags andrew benintendi, Baseball, boston, brock holt, craig kimbrel, dodgers, eduardo rodriguez, jd martinez, joe kelly, los angeles, matt barnes, mitch moreland, mlb, mookie betts, rafael devers, red sox, rich hill, steve pearce, world series, xander bogaertsLeave a comment on RECAP: #RedSox Bounce Back and Score Nine Unanswered Runs en Route to Game Four Win over Dodgers, Stand One Victory Away from World Series Title. RECAP: Mitch Moreland Delivers with Walk-Off RBI Single as #RedSox Avoid Sweep in 6-5 Win over Astros. Don’t have the time to write a full recap, but how about Mitch Moreland? Down to their final out in a tied game in the ninth, he comes through with the game-winning RBI single to score Tzu-Wei Lin from second and deliver the Red Sox their 98th win of the season. Sweep avoided, off day on Monday, magic number to clinch a postseason berth is reduced to one. Not the best of weekends for Boston, but this is certainly a confidence booster heading into the final three weeks of the season. Oh yeah, JD Martinez hit his 40th home run of the season, too. After the day off on Monday, the Red Sox will welcome the 65-78 Toronto Blue Jays into town for a three-game series. Chris Sale is set to “start” in the series opener, which is scheduled to begin at 7:10 PM ET on Tuesday. 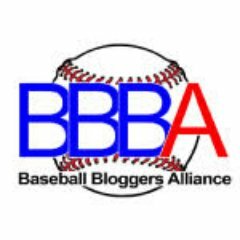 Author Brendan CampbellPosted on September 10, 2018 Categories Baseball, Sports, UncategorizedTags Baseball, boston, dallas keuchel, mitch moreland, mlb, red sox, rick porcelloLeave a comment on RECAP: Mitch Moreland Delivers with Walk-Off RBI Single as #RedSox Avoid Sweep in 6-5 Win over Astros.